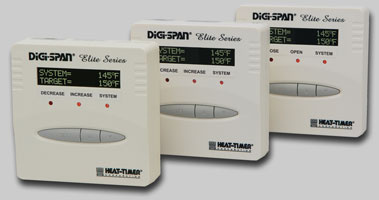 Simple Affordable Modulating Set Point or Reset Controls for Temperature or Pressure. Well suited for radiant and process applications, the MC-Elite changes the position of a valve, burner, or variable speed drive in response to changes in sensor readings. * Built-In Enable/Disable (External Activation). * Choose the state you want your output to be on a sensor fault. * Mounts on a 1900 box or use the provided extension skirt for wall mounting. * Can be powered using 120VAC or 24VAC. MCP-Elite DOES NOT COME WITH SENSORS. SENSORS MUST BE ORDERED SEPARATELY.